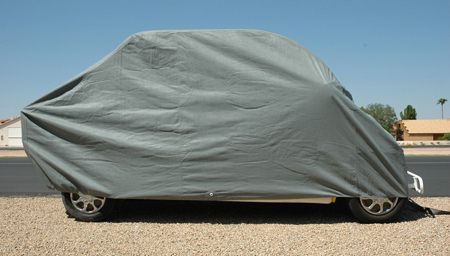 GEM ECONOMY CAR COVER, 4 PASSENGER. Great custom-tailored cover just for the GEM Car. Features a four-layer non-woven polypropylene fabric that provides maximum protection in most conditions with improved performance. Dual two-ply layers feature a durable outer layer and soft inner layer. The inner layer is constructed with softened fibers; gentle protection for fine paint finishes.